Today we bring you part two of Fr. 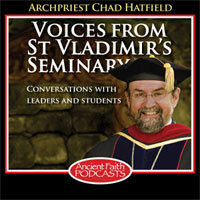 Chad Hatfield's talk at the Serbian Clergy Brotherhood in June on the challenges facing our priests in today's culture. Fr. Stephen continues his look at the world from an Orthodox perspective. Fr. Michael examines Jesus's exhortation to "take heed that the light in you is not darkness."